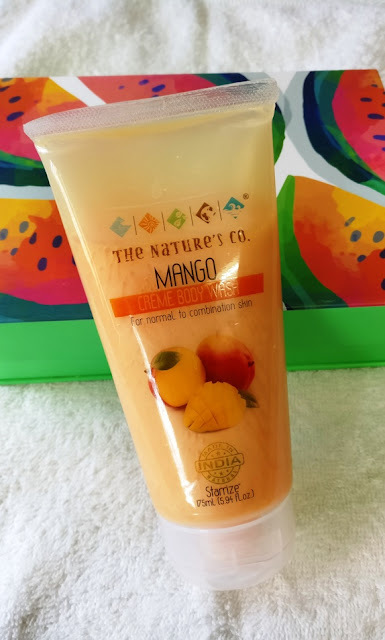 To start with the The Nature’s Co. Mango Creme Body Wash (Rs 695) which claims to be a pulpy mango creme body wash which is rich in vitamins, minerals and antioxidants, which makes your skin healthy, radiant and youthful. 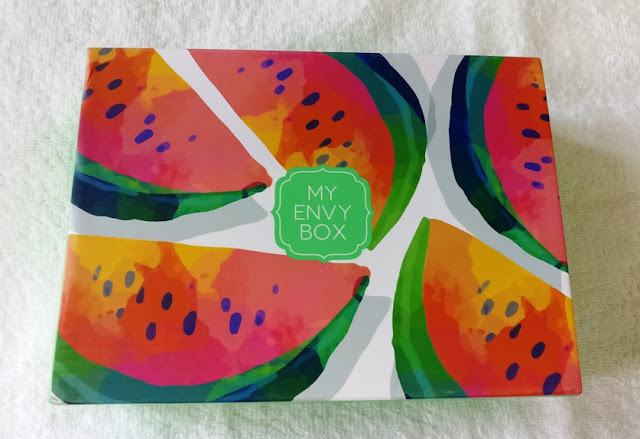 It's gentle and moisturizing on skin but I was disappointed by it because I wanted a strong and fruity mango fragrance and this doesn't smell anything like mango to me. With the uproar of everything Alphonso in every product in the market thanks to summer, I guess I set my expectations too high. 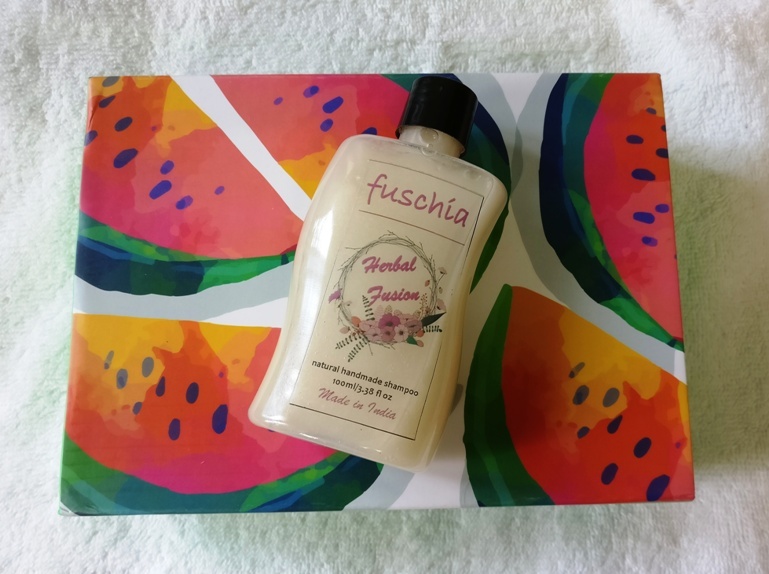 Then there's the Fuschia Herbal Fusion Shampoo (Rs 450) which is supposed to combat hair loss and dryness while providing nutrition to the scalp and cleansing and conditioning it. It is herbal and sulphate free and is enriched with the goodness of Brahmi, Amla, Shikakai and many more natural ingredients that are very good for hair. I am yet to try it out so cannot really say more about it. My favorite product in the box is Cheryl’s Dermashade Sunblock SPF 30 (Rs 550) which I have been using daily since I received it. 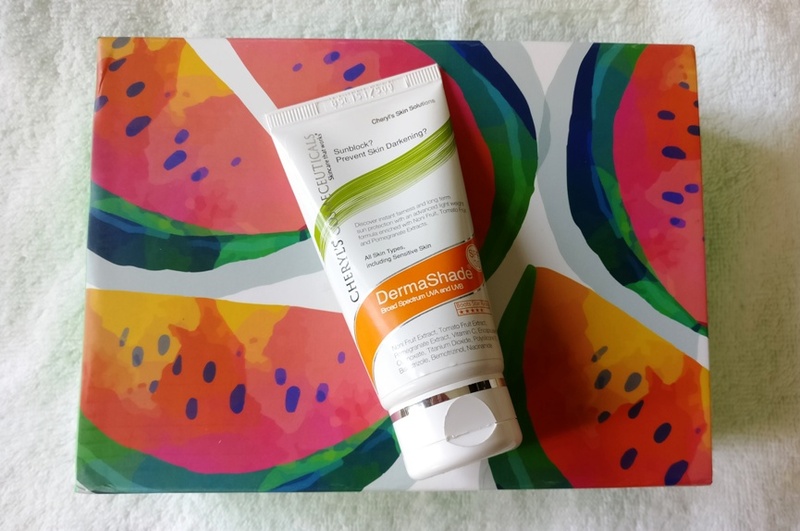 I absolutely love the dry clay like texture of this product and how light it sits on the skin while offering sun protection. Cheryl's is a reputed brand among salons for facials and skincare products so their products are very good. 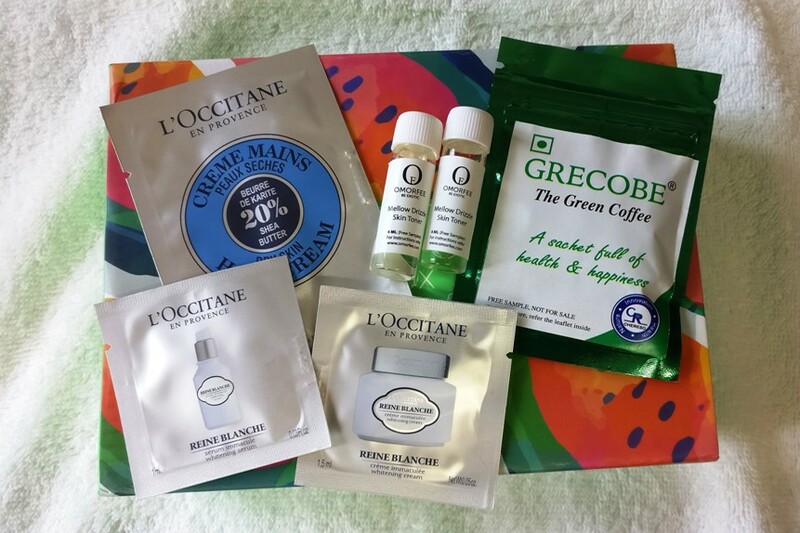 There are two tiny vials of Omorfee Mellow Drizzle Skin Toner which I used a couple of times and quite liked. These are enriched with lavender, sour honey and rose to tone and soothe your skin. It has skin balancing and healing properties pepped up with the unique sour honey which gives tightens skin and makes it glow. Then there are L’Occitane Shea Butter Hand Cream, Reine Blanche Illuminating Cream and Serum sachets which are all fabulous products but the one time use sachets make me sad. 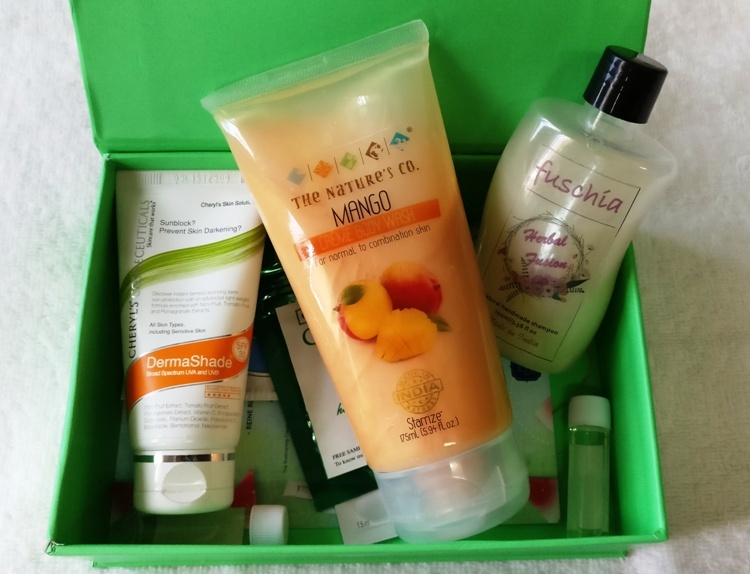 Overall, an OK box for me. Looking forward to the June box!! Woohoo my month is coming!! nice new brands, as for me) I want to try some fo them!